Both Google and Bing retain information on your browser regarding past searches and use this personalized information to influence future search results. Both search engines can integrate social media into their search results, allowing information from Friends to shape the results provided in a search query. Google not only uses past searches to influence future results, but also takes into account which search results you’ve followed in the past. Some parents prefer that search engine results not include personalization, such as the influence of social media and past search activity. 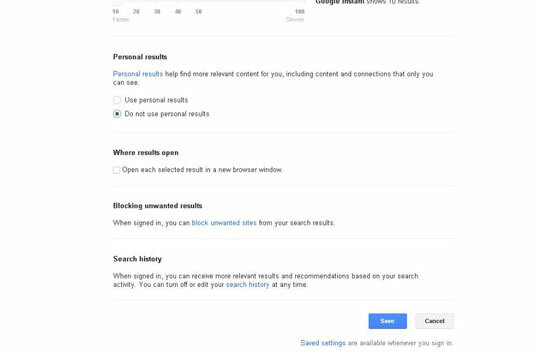 Perhaps multiple users within your family are using the same Google account, or you’re concerned that past search results preferences will manipulate the current results of a search for a school report. As a preventive, you can sign in to your Google account and disable personalization within the search engine to keep personalized results from appearing in future searches. 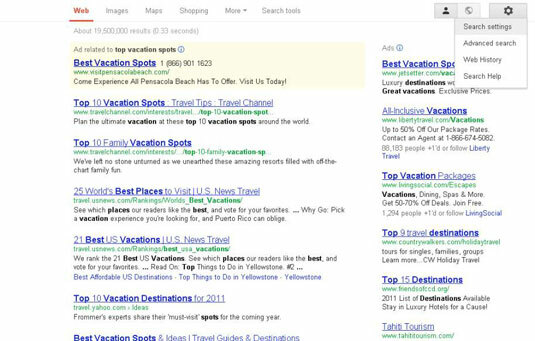 Click the gear symbol in the upper right of the Google search results page. Choose Search Settings from the drop-down menu. Under Personal Results, select the Do Not Use Personal Results radio button. You can also choose to turn off your Google web History to disable history-based search customizations while signed in to your Google account. 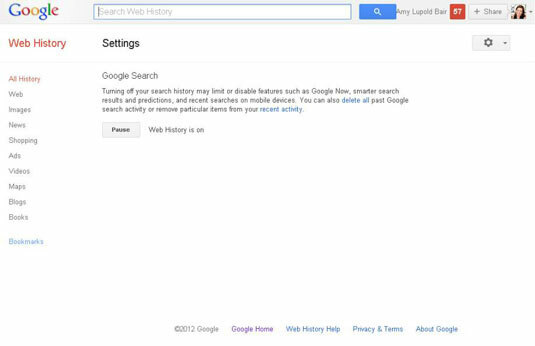 Click the gear symbol in the upper right of the search results page, but this time, choose web History from the drop-down menu. The web History page appears. Select the gear symbol again and click Settings. On the Settings page that appears, click the Pause button, to the left of web History Is On. 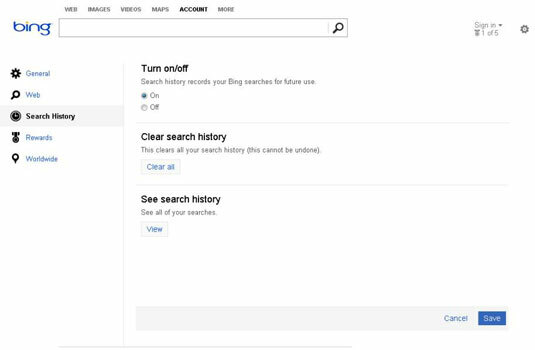 Click Disable Customizations Based on Search Activity. Click the gear symbol in the upper right on Bing. Select Search History from the left sidebar. In the Turn On/Off section, select the Off radio button. 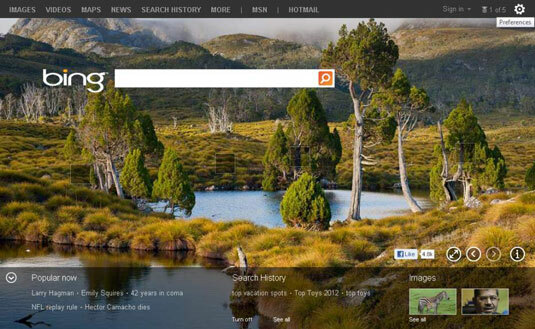 From this page, you can also view and clear all Bing search history. Because many families share digital devices — and, therefore, search history — discuss the option of disabling search history on these shared devices and accounts to keep the actions of one family member from affecting the search results of fellow family members. You may also want to create separate browser accounts for each family member, or perhaps for parents and children. Keep in mind that if you disable search history on a particular browser or platform, you won’t be able to view your child’s search history.